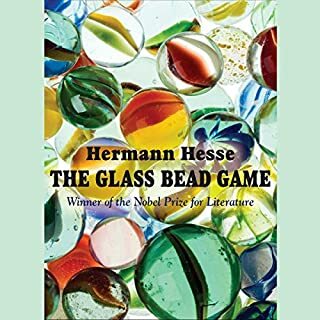 Vowing at an early age "to be a poet or nothing at all", Hermann Hesse rebelled against formal education, focusing on a rigorous program of independent study that included literature, philosophy, art, and history. One result of these efforts was a series of novels that became counterculture bibles that remain widely influential today. Another was a body of evocative spiritual poetry. Published for the first time in English, these vivid, probing short works reflect deeply on the challenges of life. 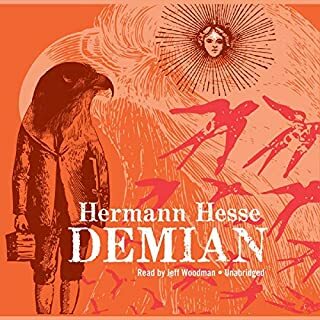 Here is the dramatic story of young, docile Emil Sinclair's descent - led by precocious schoolmate Max Demian - into a secret and dangerous world of petty crime and revolt against convention and eventual awakening to selfhood. 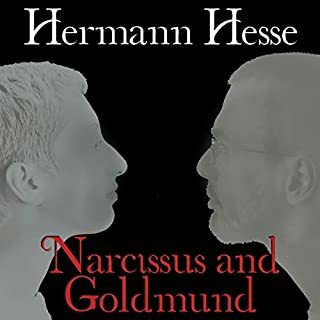 Narcissus and Goldmund is the story of a passionate yet uneasy friendship between two men of opposite character. Narcissus, an ascetic instructor at a cloister school, has devoted himself solely to scholarly and spiritual pursuits. One of his students is the sensual, restless Goldmund, who is immediately drawn to his teacher's fierce intellect and sense of discipline. 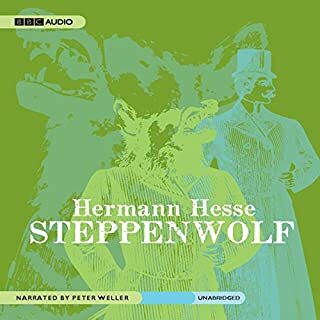 My favorite of Hesse's novels, wonderfully read. A pre-Great War, gnostic, Jungian bildungsroman. 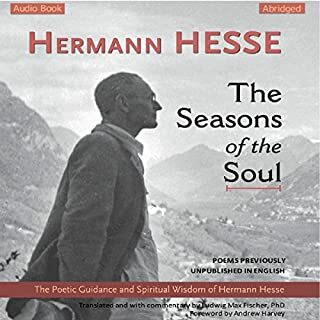 The Journey to the East is Hermann Hesse's tale of inner pilgrimage, an allegory on human desire for enlightenment and the long road that must be traveled to that ultimate goal. Using remarkably clear and accessible language, the book brings together the experience and conclusions of many years of spiritual struggle. Siddhartha, born the son of a Brahmin, was blessed in wealth, appearance, intelligence and charisma. In order to find meaning in life, he discarded his promising future for the life of an ascetic. He wandered as a shramana and searched for Gotama the Buddha. However, this man, Siddhartha, was not a follower of any but his own soul. 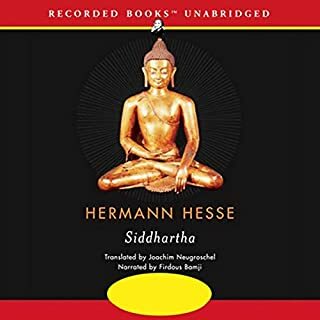 This popular book provides the listener with insight into the philosophy and thoughts that shape Siddhartha's path to enlightenment. LOVED it! Huge fan of Huxley, this book is why. A great narration for a great book. The Sorrows of Young Werther was Goethe's first major success, turning him from an unknown into a celebrated author practically overnight. Napoleon Bonaparte considered it one of the great works of European literature. He thought so highly of it that he wrote a soliloquy in Goethe's style in his youth and carried Werther with him on his campaigning to Egypt. Step into a world of visions, philosophy, and passion in which dreamers, seekers, princesses, and wandering poets dwell. 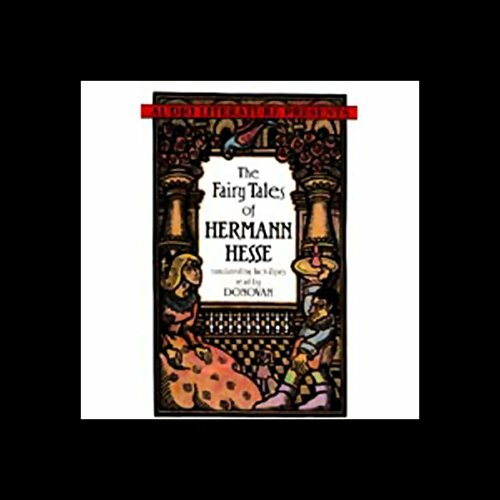 The 6 wonderful, romantic tales in this collection are reminiscent of ancient Oriental and German fairy tales. The selections, "The Poet," "The Flute Dream," "The Dwarf," "Faldum," "Ziegler," and "Dream of the Gods" were hand-picked by the narrator, legendary folk and rock musician Donovan. Gripping stories told with a smooth expressive voice. I also liked the music between readings. Donovan made for a refreshing narrator, with his soft, dulcid tones, interspersed with guitar chords as emphasis. My only criticism, if any, would be his tendency to trail off his sentences in places, making them difficult to hear clearly, but it could be more down to the actual recording volume, but he can be forgiven regardless. I enjoyed it immensely, and I hope Donovan does more Hesse, or even Kahlil Gilbran, whose stories would suit his style.